Several projects highlighted in the book were featured at the party, allowing guests to be entrenched in the awesomeness. 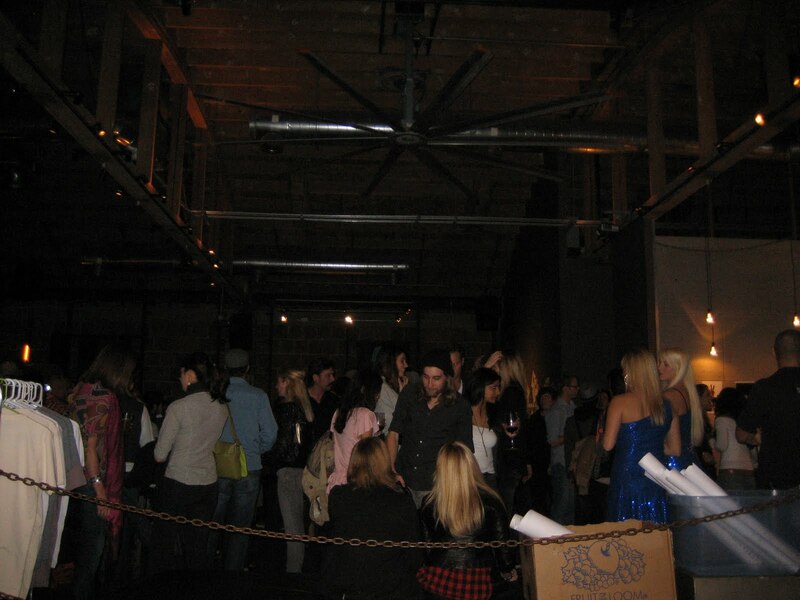 As you arrived to the event, a bed with a bleach blonde-haired mannequin tucked under the covers, was parked directly outside the bar. 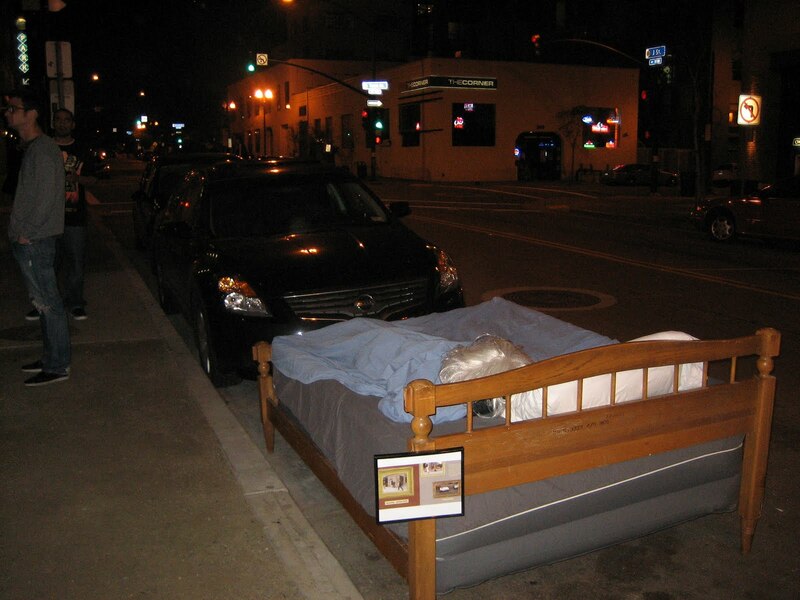 Passers by stopped in curiosity pondering the purpose of object’s placement, satisfying Mark Jenkins’ artistic mission. Guest received complementary gift bags from Baggu, a maker of reusable, zip-stop nylon bags. Stylishly made and super compact, guests were given a choice of seven or eight colors, a mere percentage of the actual colors in stock. To completely engage the guests, a section of the bar was set up where individuals could live their “Dreams of Flying” through a physical representation of Jan von Holleben‘s photographs. Natalie, from Too Sunny Out Here and I were given “wings” and became fairies in our own version of Jan von Holleben’s piece, Peter Pan. 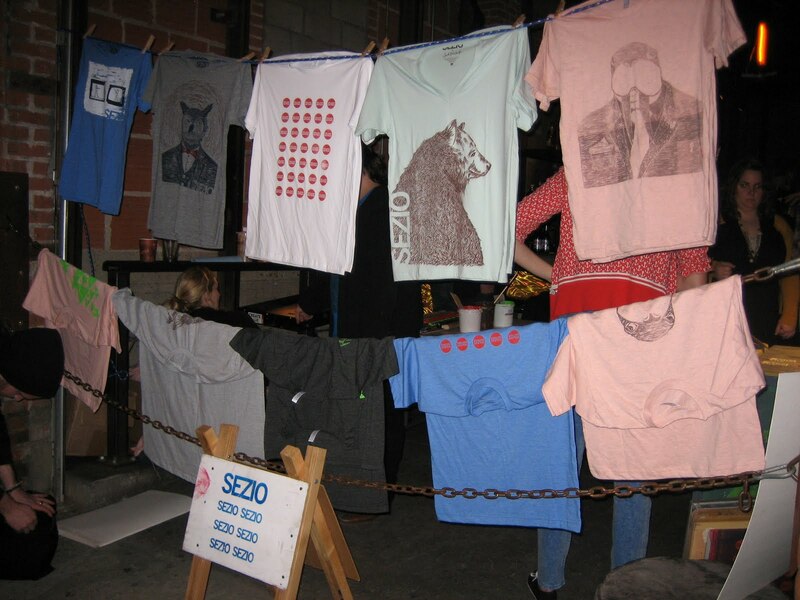 Both T-post and Anthony Burrill’s work were displayed and Sezio was there silk screening shirts on-site. A couple of my personal favorite things exhibited at the launch included the “Wall of Dave” (as Seth Combs from City Beat called it) , which was a visual timeline of Holiday Matinee’s accomplishments, and the wall of concept cover designs for the book, each equally cool that I am not sure how a decision was made. If you missed the launch party, that is sad. However, the real good comes not from being seen at a party but from the impact you make on the world at large. 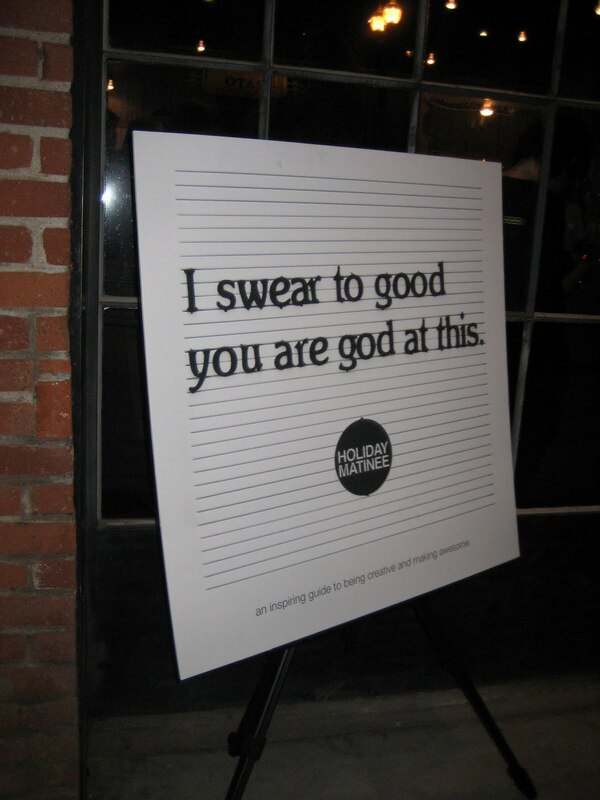 By supporting projects and people like those featured in I Swear to Good You Are God at This, you are making steps towards making the world a better place.